SKU: 2823. 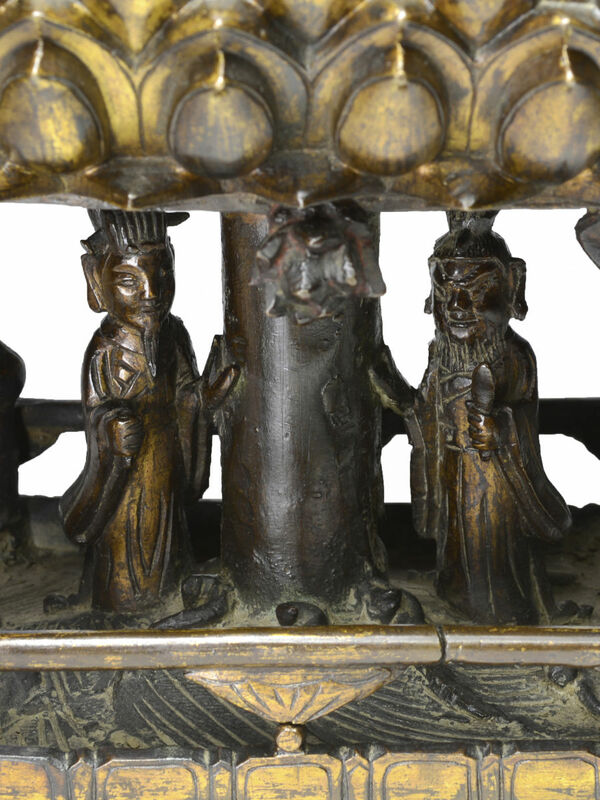 Categories: Ming Dynasty, Religious Art. 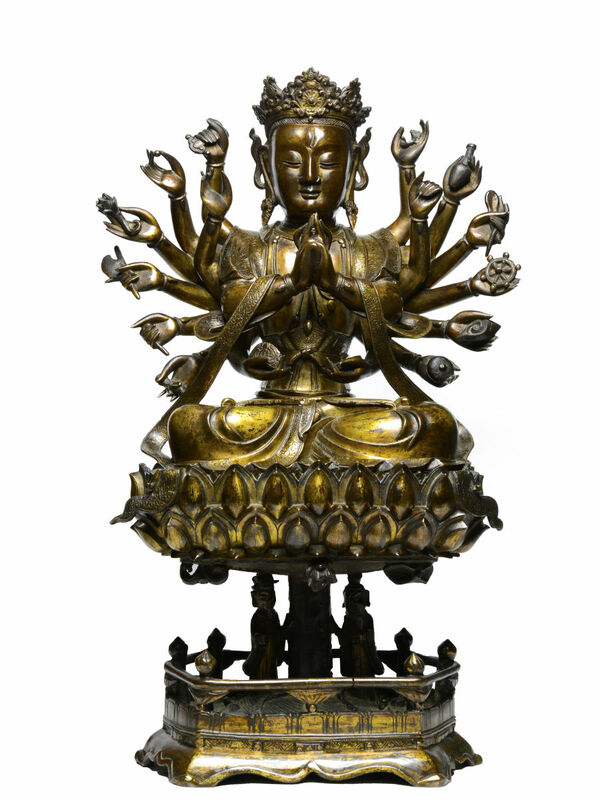 Cundī appears with eighteen arms on a lotus and is referred to as “Goddess of the Seventy Million [Buddhas]”. 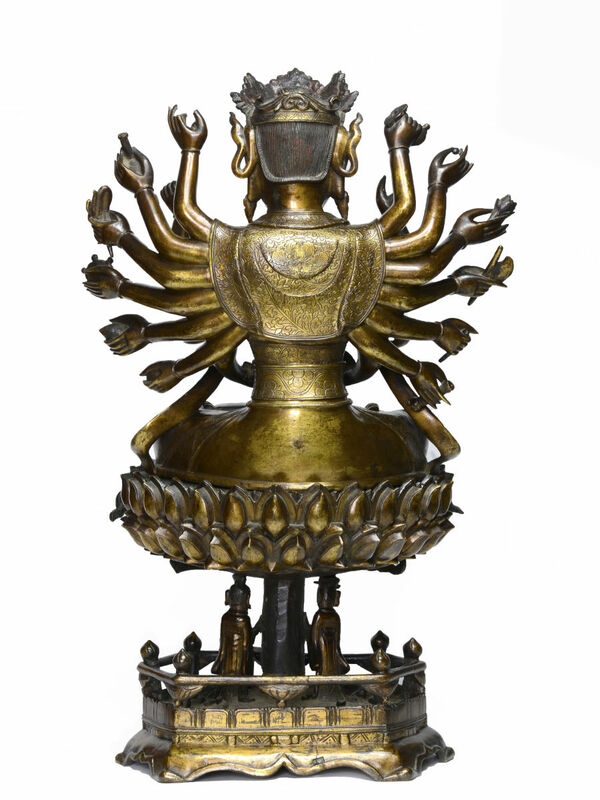 Cundi is depicted with eighteen arms, each wielding implements that symbolize upava. Her eighteen arms also represent the eighteen merits of attaining Buddhahood as described in an appendix to the Cundī Dhāraṇī Sūtra.